The USGA’s United States Open is one of the most anticipated tournaments of the year, and Northern California golf fans can be forgiven for having a special feeling for it in the years when it comes to Pebble Beach. 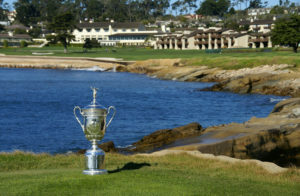 Next year’s U.S. Open at Pebble Beach, the 119th playing of America’s national championship, and the sixth time that the event has been played there has special significance because it coincides with the celebration of the 100th anniversary of the opening of Pebble Beach Golf Links. One of the biggest questions every year, when the U.S. Open comes to that year’s venue, is: How will the course be set up? The USGA has, in recent years, been criticized for the severity of the course setups, notably in 2015 at Chambers Bay, in Washington State, and the 2018 edition of the tournament, at Shinnecock Hills, on Long Island. USGA representatives visited Pebble Beach recently to present a preview of the changes that can be expected at Pebble Beach next June. With many USGA and Pebble Beach Golf Links personnel in the same roles as when the tournament last came to Pebble, in 2010, continuity won’t be a problem. In fact, according to Pebble’s chief superintendent, Chris Dalhamer, and USGA’s “inside the ropes” tournament director, Jeff Hall, they essentially started looking ahead to 2019 as soon as the event wrapped up in 2010. A GPS survey of the course that was conducted in the intervening years has put a valuable tool in the hands of the USGA’s course setup personnel and the Pebble Beach grounds staff, allowing them to work from an accurate layout of the course when determining changes in fairway width and rough area for the upcoming Open. So what can fans, and the players, expect to see during Open week next June? Well, as you might expect, narrower fairways, denser rough, and fast greens. Fairways that are set at 40 to 45 yards in width for resort play will be playing at 28 to 32 yards for the Open, with five to six yards of first-cut rough – 1-1/2 to 1-3/4 inches deep – immediately off of the fairway, and deeper, four inches-plus, beyond that. Dalmer’s grounds crews have already started overseeding the fairway areas that are planned to be grown up to rough height, and after the conclusion of the Taylormade Pebble Beach Invitational, November 12th to 18th, the rough will be allowed to start growing in, beginning the process of narrowing the fairways as the run-up to the Open begins. This means, of course, that the 2019 AT&T Pebble Beach Pro-Am will constitute something of a preview of U.S. Open conditions for the players. Some of the changes that will affect play in the 119th U.S. Open are already in effect. The changes to the greens on holes 9, 13, 14, and 17 have been in play for up to four years. The ninth green was expanded to the upper left by some 700 square feet in 2014, and the large front bunker reduced in height and severity; a new back tee has been added to #9, adding 21 yards and bringing some of the original strategy of the hole back into play for the game’s biggest hitters. The 13th green – the most recent renovation – saw the addition of a new section on the upper right, the reclamation of a bunker on the left side of the green, and a slight reduction in the severity of the slope, in keeping with the modern game’s higher green speeds. The notorious green at the 14th hole, long dreaded for its small playable area, has been expanded by 800 square feet, and the right side of the putting surface flattened to allow reasonable hole locations on that side of the green – hole locations which will bring the still-steep “ski slope” area at the right-front into play for players taking on a right-hand flag. The 17th green, where two of the most renowned moments in Pebble Beach’s U.S. Open history have occurred – Jack Nicklaus’ one-iron ace in 1972, and Tom Watson’s chip-in birdie (to set up his victory over Nicklaus) in 1982 – was expanded from 3500 square feet to 5000 in 2015, while retaining its “two-greens-in-one” character, and the lip of the front bunker reduced in height by two feet. The renovation brought this iconic seaside par-three back to its roots in terms of size and playability, reversing decades of slow encroachment caused by bunker play. In short, the Pebble Beach that fans and players will experience during the 2019 U.S. Open will be familiar, but toughened up with the event’s signature deep rough and narrow fairways, increasing the premium placed on accuracy that is already required by Pebble’s famously small greens. It should be a contest for the ages, and a fitting highlight of the storied Monterey Peninsula venue’s centennial celebration.